Effectively repels mosquitoes, deer ticks, black flies, sand flies, gnats, no-seeums and biting midges. PABA-free and DEET-free. You’ve probably heard that Lyme disease is a growing concern in the United States but did you know that this year we’re on the brink of a Lyme disease outbreak? The recent acorn surge means mouse populations will climb — giving rise to more disease-carrying ticks. This summer, protect your family with the whole line of Avon Skin So Soft Bug Guard products. Avon’s two dual action SKIN SO SOFT BUG GUARD PLUS lotions not only repel and protect against mosquitoes that may carry the Zika virus, but also against deer ticks that may transmit Lyme Disease. 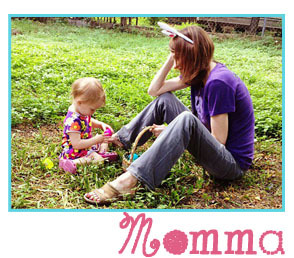 Additionally, they provide vital SPF 30 sun protection – something that’s already a year-round must. Getting into the habit of regularly protecting yourself and your family from exposure to bugs and bites is one of the best things you can do to stay safe. 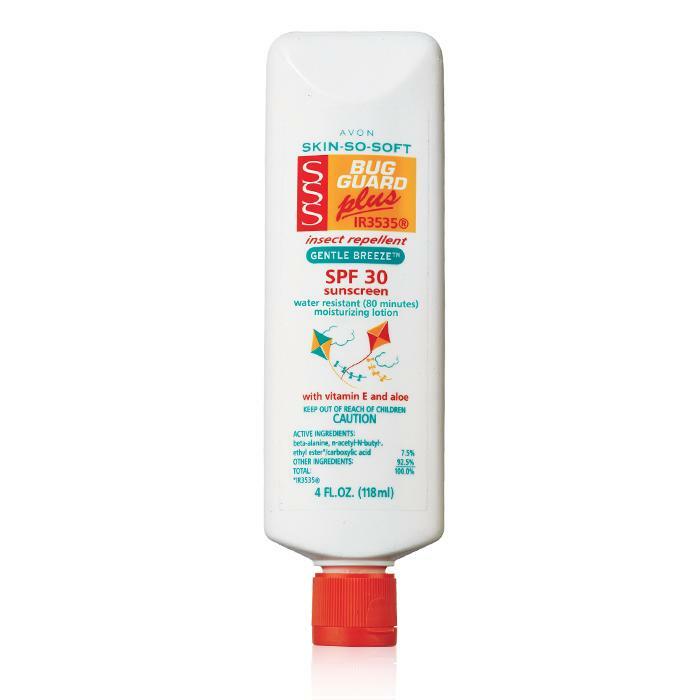 SKIN SO SOFT BUG GUARD PLUS IR3535® Gentle Breeze SPF 30 Lotion: Dermatologist-tested and hypoallergenic, this lotion is lightly scented with a cool, springtime fragrance. 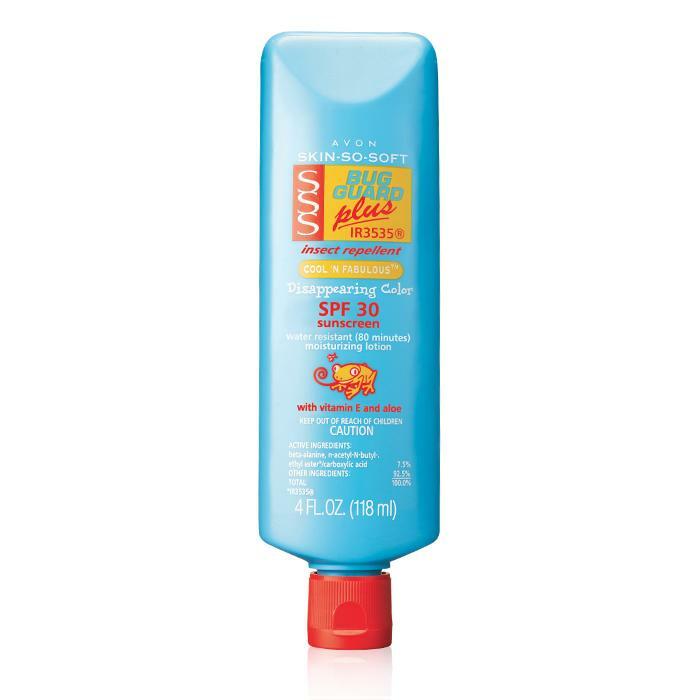 SKIN SO SOFT BUG GUARD PLUS IR3535® SPF 30 Cool ‘n Fabulous Disappearing Color Lotion: The pediatrician-tested, hypoallergenic, kid-friendly formula goes on blue so you can see exactly where it’s being applied, then dries and disappears into the skin. 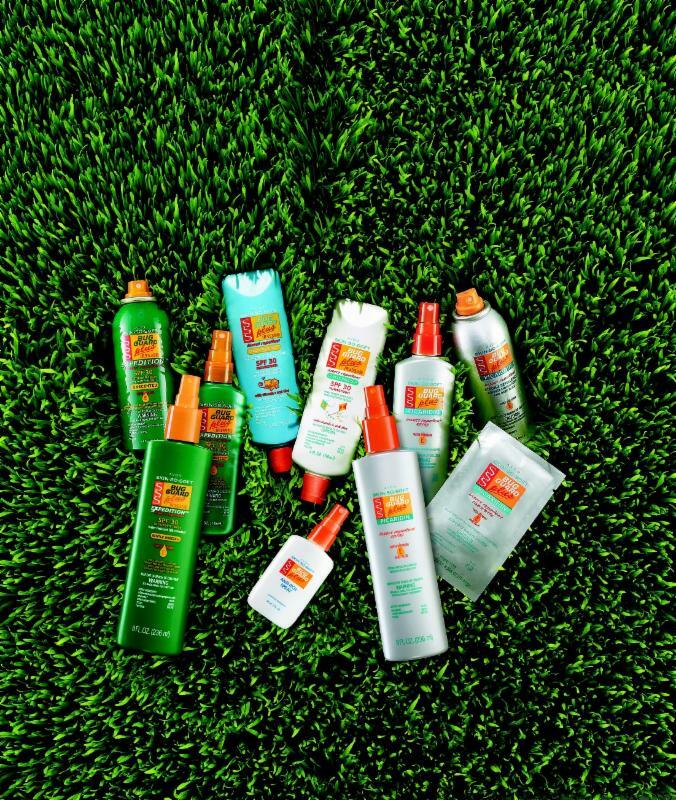 Additionally, Avon Skin So Soft Bug Guard offers a full range of aerosol and pump sprays to keep the whole family protected this summer!